"Aisha (Radi Allahu Anha) said: " People are paying no attention to the best act of worship: Humility." Collected by Ibn Abee Shaybah (13/360) Ibn Hajr graded this Athar as being Saheeh. At-Tabari (may Allah have mercy on him) said: "Allah tests His believing servants with humility to see how they obey Him and follow His commands." Shaykh Abdur Rahman As-Sa'dee (May Allah rest him in Jannah) said, "Humility and Humbleness are among the foundations of the religion and its core whereas, pride contradicts Islam. The origin of humility is found in the verse: (سَمِعْنَا وَأَطَعْنَا) (We hear and obey) [ Al-Baqarah 285]. This means we hear what you have said our Lord in the Quran and what Your Messenger has said. The humble person submits to the truth no matter who it comes from. He doesn’t care about his old views, speech or position. He aides the truth whenever it becomes clear to him its right. The arrogant stubborn one clings inflexibly to his speech, actions and ways. In fact he has a high opinion of his speech and deeds. When the truth is made clear to him, he turns up his nose arrogantly; as he's amazed with himself. Having this trait lowers a person to a very low status. The person with humility spreads the greetings of peace to the young and old, to those of high status and low. He treats everyone the same. The conceited person doesn’t give salaams or even look at the needy and poor. He has no concern for their needs and he won't even intermingle with them. The humble individual is loved by Allah and His servants. He is always close to good and distant from evil, sin and transgression. The arrogant one is hated by Allah and His servants. 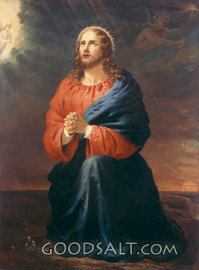 He is always distant from piety and righteousness and close to evil, sin and transgression. Humbleness is a quality to the Prophets and Messengers. This attribute is for the God fearing and Guided. Arrogance is a characteristic of the tyrants and oppressors. Humility increases a person's nobility and raises his status until he eventually reaches the ranks of those loved and pleased by Allah. How many humble people attain love and charity! How many times is a person with humility praised! How often do people supplicate to Allah for a modest man! Saudi Arabia’s Grand Mufti, the highest religious authority in the birthplace of Islam, on Saturday denounced attacks on diplomats and embassies as un-Islamic after deadly protests against a U.S.-made film mocking Islam’s founder. 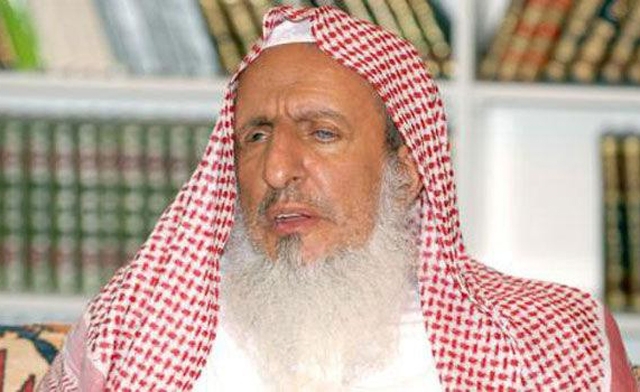 Sheikh Abdulaziz bin Abdullah Al al-Sheikh also called on governments and international bodies to criminalize insults against prophets and excoriated the film that has prompted a wave of fury across the Middle East. At least nine people were killed after noon prayers on Friday in demonstrations across the Middle East. Washington sent extra troops to guard its embassies after the U.S. ambassador and three other Americans were killed in an attack on a U.S. mission in Libya on Tuesday. The violence spread to Egypt, Lebanon, Tunisia, Sudan, Yemen and elsewhere. There have been no reports of anti-American demonstrations in Saudi Arabia, a key Arab ally of the United States and country that holds significant influence over the world’s 1.6 billion Muslims via its guardianship of Mecca and Medina. Al al-Sheikh’s statement echoed the official position taken by Saudi Arabia on Thursday, condemning both the film and attacks on U.S. embassies. Earlier on Saturday, al-Qaeda’s regional wing based in Yemen called on Muslims to kill American diplomats in Islamic countries and step up protests against the film. QUESTION: I would like to know about Hijab in the light of Qur'an & Hadith as how our Muslim women should cover their body? Some people are saying that covering of face is not necessary and also not prescribed through our religion and thus only body can be covered. What are the opinions of most prominent Islamic scholars or four Imams? ANSWER: Is it necessary for a woman to cover her face in the presence of strangers (who are not her designated Mahaarim) according to Shariáh? This question is answered in this article in the context of the claim that the veil or Niqaab is primarily 'a social requirement and custom according to the environment and custom, and according to the environment and customs of a particular country.' In endeavouring to answer the question, we will confine ourselves to a brief examination of the relevant Qurãnic verses. So the cars that you own, the houses that you live in, the businesses you possess all truly belong to Allaah. 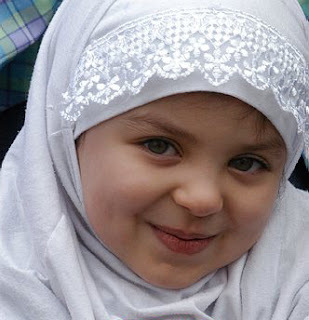 The kids that He blessed you with, the health that He gave you, the time that He has allowed you are all Allah's property. Even the bodies we live in and the life that we have belong to Allaah alone. The very souls that we think of as our "self"; our "nafs"; our "being" -- whatever you want to call it -- that very thing that distinguishes you from the rest of the world, belongs to Allaah.. It's not YOURS. In fact, YOU are not YOURS. You belong to Allaah. And this is the essence of the concept of slavery to Allaah in Islam. And since He is the true Possessor of everything, and everything is His property, He allots what He wills to whomever He wills…….and then He takes it away. After all, it was Allaah's to begin with. So He may give you something and then take it back after a while.. He will bless you with a precious child that you love dearly…and then He may take it away. He will grant you money, honors and status….and then He may take it away. In fact everything you have will only be with you for a very short while. And then the Owner will claim His Right. So when Allaah does reclaim what was rightfully His, WHY MOURN OUR LOSSES? Just like a friend who lends you his book. And then after a few days, he wants it back and you give it back to him…no regrets…..no sorrow….no questions asked. Similarly, if Allah takes back some of His blessings upon you for some reason….so be it. And such Imaan in the statement "Inna lillaahiwainnailayhiRaaji'oon"! And it is because of this Imaan so strong, this understanding, that the Prophet (Sal AllaahuAlaiyhiwaSallam) made dua for them and Allaah blessed them immensely. 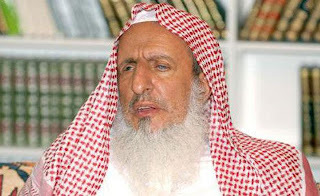 Saudi Arabia's mufti or spiritual leader Sheikh Abdelaziz al-Sheikh on Saturday condemned as un-Islamic violent protests against an anti-Muslim Internet film made in the United States. The mufti also denounced the film's dissemination, which he considered "a criminal act," but called on demonstrators to "not turn legitimate protests into unauthorised provocative acts," in a statement quoted by the official news agency SPA. "Such acts damage the Muslim religion, are not permitted by God and are incompatible with the teachings of the Prophet" Mohammed, he said, hoping for "the criminalisation of attacks on sacred figures" in monotheistic religions. He said those promoting the film wished to "turn Muslims away from their goals, which are building their countries, reinforcing their unity and the pursuit of development." "The best response for Muslims to such attacks is to get on with developing and building their countries," he said. The low-budget film produced in the United States, "Innocence of Muslims," incited a wave of bloody anti-American violence in Egypt, Libya, Sudan, Tunisia, Yemen and several other countries. Protests and attacks on foreign embassies have killed at least 11 demonstrators, as well as the US ambassador and three other American diplomatic staff in Libya. Saudi Arabia, home to Islam's holiest religious sites, on Thursday condemned the American film but also denounced the deadly attacks in reaction to it, offering its "condolences to the United States on the victims of the violence that targeted the US consulate in (the Libyan city of) Benghazi." The wave of protests over a film made in the United States that mocks the Prophet Mohammed has spread to the United Kingdom. After the call to prayer at the Regent's Park mosque, about 200 people joined a protest march from the mosque to the US Embassy. They held placards reading "America is the enemy of Islam and Muslims", and "Islam will dominate the world". "Do not remain silent while they insult your messenger," the protest leader told the crowd. The protest remained peaceful, but demonstrators set fire to a US and an Israeli flag. Saiful Islam, a spokesman from Defenders of the Prophet, expects more protests in the UK and Europe. "We should all be united in coming out to condemn the actions of these people," he told Saturday AM. He says the violence - including the - could have been seen coming. "The thing with these killings and what is happening, obviously this was going to be expected," he said. "Obviously when you do something like this, it's going to ignite and it's going to cause violence. "I'm not surprised at all, I'm expecting obviously more carnage and more violence, and it's going to escalate." The low-budget movie which sparked the protests, Innocence of Muslims, ridicules the Prophet Mohammed and belittles the religion he founded. It touches on themes of paedophilia and homosexuality, while showing the Prophet sleeping with women, talking about killing children and referring to a donkey as "the first Muslim animal". One protester in London says the movie shows ignorance about Islam. "If you think of it, these people who have obviously taken part in this trailer of a movie have no idea of our Prophet and how much we actually love our Prophet," the protester said. "They've taken it to a whole new level, and you're definitely going to see protests all across the world, not just across Europe." But other Muslims in London told Saturday AM the violent protests go too far, and that words should only be fought with words. "To be quite honest, it's quite characteristic of this organisation to convene whenever a reality like this occurs," one bystander said. "I mean, it's happened all the time." Another bystander condemned protesters for attacking embassies. "We are losing support, and we are not giving the true idea of a true Muslim. A true Muslim should be civilised," the bystander said. SANAA: The Muslim world seethed with anger yesterday as anger spread over a film mocking Islam. Demonstrators briefly stormed the US Embassy compound in Yemen yesterday while protesters pelted the Egypt mission with stones after a night of clashes. Yemeni police used water cannon and fired warning shots to expel protesters who breached the perimeter wall, and at least one demonstrator was shot dead and several others were injured outside the compound as police battled to prevent any new incursion. Demonstrations were also held in Iraq, Iran, Gaza and Bangladesh as anger over the US-produced movie spread. The protests came even as US and Libyan officials said they had launched investigations into a mob attack on the consulate in Benghazi that killed the ambassador and three other US officials on Tuesday, amid growing speculation it was the work of jihadist militants rather than just demonstrators. In Sanaa, some protesters said they saw three vehicles being torched inside the compound before police ejected the demonstrators who had broken through. After being driven back from the main gate, the crowd regrouped near a checkpoint some 100 meters back, chanting anti-Jewish slogans. “O, Jews: Khaybar, Khaybar. The army of Mohammed will return,” they shouted, evoking a 7th century war in the west of the Arabian Peninsula in which the Muslims defeated the Jews. Gaza protest, called by the Hamas Ministry of Religious Endowments, was attended by several hundred Muslims. He called for new demonstrations to be held after Friday prayers. In Tel Aviv, around 60 Arab-Israeli protesters demonstrated outside the US Embassy, in a protest called by the Islamic Movement in Israel. “We came to protest against the producers of this movie and the United States which allowed it to be made,” protester Zahi Nijidat told AFP. Demonstrators chanted slogans against US President Barack Obama and criticized the film. In Cairo, police fired tear gas to disperse the latest protest outside the embassy by stone- and bottle-throwing demonstrators, which came after a night of sporadic clashes in which the health ministry said 16 people were injured. Armored vehicles were deployed around the mission, an AFP correspondent reported. On Tuesday night, protesters stormed the compound, tearing down the Stars and Stripes and replacing it with a black Islamic flag. Egypt’s President Muhammad Mursi condemned the offense caused by the US-produced movie but warned against resorting to violence. “We Egyptians reject any kind of assault or insult against our prophet. I condemn and oppose all who... insult our prophet,” he said in remarks broadcast by state television. In the Iranian capital Tehran, up to 500 people protested, chanting “Death to America!” and to the movie’s director. In Dhaka, about 1,000 Muslims tried to march on the US Embassy in Dhaka yesterday to protest against the film, police and witnesses said. Members of the Khelafat Andolon demonstrated in the capital and threatened to step up their protests after they were blocked from approaching the US Embassy. There were no reports of violence. “We will stage bigger protests over the issue and may also besiege the US Embassy,” said Moulana Hemayetuddin, a senior leader of the group. The protesters wearing white caps threw their fists in the air as they chanted anti-US slogans. They burned a US flag and demanded an immediate apology from the United States. On Wednesday, protests were held outside US missions in Morocco, Sudan and Tunisia. In Tunis, police fired tear gas to disperse a crowd of several hundred. The film: What we know - Let's take a closer look at the film that seems to have provoked violence and protest in Libya and Egypt, and now, Tunisia.